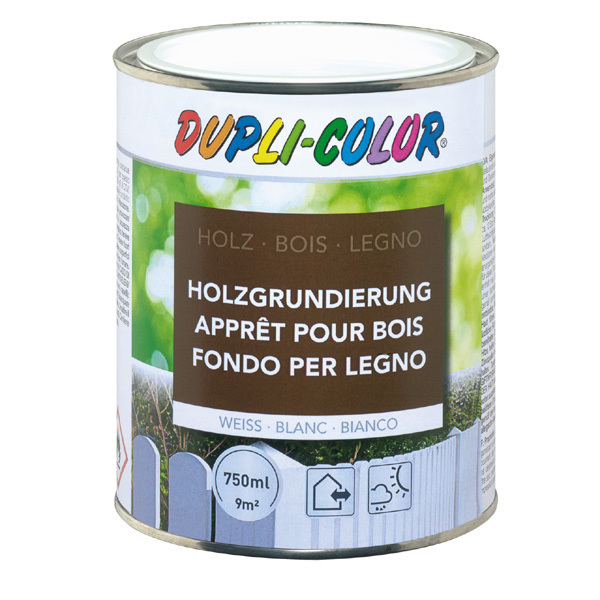 DUPLI-COLOR Wood Primer is a good flowing and easy to use primer with good filling behaviour and coverage. Good edge coverage, good penetration. It optimizes the subsequent painting. Suitable als primer for new and renovating paintings indoors and outdoors on furniture, doors, windows etc.